Agam. Chadar Ochel. Omanut. Nagarut. Moadon. Tzad Aleph. Ask any Ramah chanich (camper), madrich (counselor), or alum, and he or she will easily be able to translate any of the words above. Not because they’ve studied vocabulary lists or been tested, but because, for years at camp, they have truly lived in Ivrit (Hebrew). Milim b’Ivrit (Hebrew words) are so commonplace at camp that after just a few days, if not hours, chanichim expand their understanding and use of Ivrit without even realizing it. Drawing on this success, in kayitz (summer) 2016 we launched an initiative called Meah Millim (100 words), originally piloted at Ramah Poconos in 2015. Working with members of our tzevet (staff), we put together a list of the 100 most common words that we use (or should use) in Ivrit at camp. Many of these milim (words) are milim that we already all regularly use in Ivrit, while others are common words that we want to push ourselves to start using only in ivrit. Throughout the kayitz, everyone at camp pushes one another to use the milim on this list exclusively in Ivrit — both for chanichim and madrichim. And the Meah Millim initiative doesn’t stop with specific words — we use this program as a catalyst for including more Ivrit in our everyday lives at camp. This is a challenge that our entire camp kehilah (community), from menahel (director) to first-time chanich (camper), takes part in together. And who knows, we might just have some special swag to give to madrichim and chanichim to make great use of these Meah Milim this kayitz at camp…! In 2016, we had a special Meah Milim hultzah (t-shirt) that we awarded to certain hanichim and madrichim who were nominated by their fellow hanichim and madrichim for being superstars at using the Meah Milim. Want to see what’s on the list? Check out our Meah Millim here. (And here is a version with the nekudot, the vowels.) Please note: we are not expecting that anyone come to camp with these milim already learned or memorized. We do not want any hanichim (campers) to feel pressured to “study” before coming to camp! We will all be learning and working on these milim together at camp this kayitz (summer). 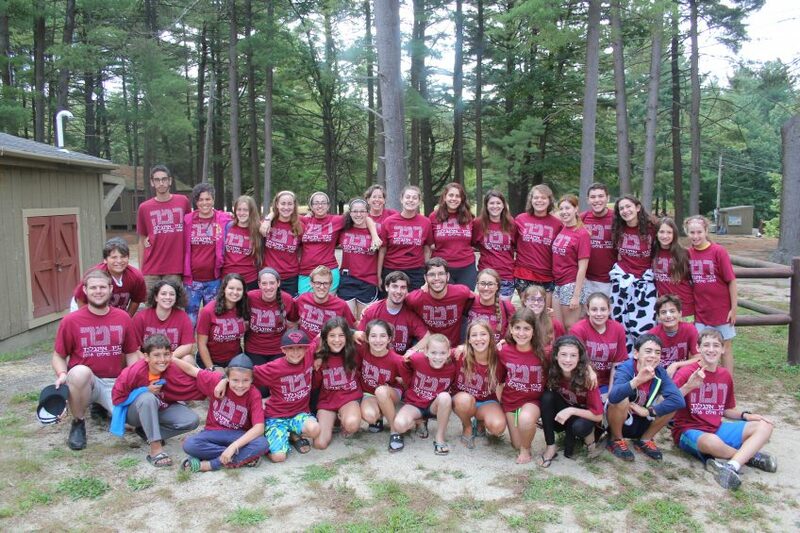 Whether you already know most of the milim on this list or none of them, you’re in perfect shape and ready to begin an exciting kayitz of learning and growth and fun at Machaneh (Camp) Ramah!